What do you call an unarmed PPD officer in the middle of the Badlands? A victim. Chief Zeke Phoenix survived his funeral party…barely. Now survival turns into mayhem management as he works to turn his team's begrudging respect into a force that’ll keep the Badlands in check. When an unmarked package hits his desk, mayhem turns to chaos. The package’s contents trigger a chain of events, leaving the only true law of the land understaffed, unarmed, and under attack. They're one major assault away from being wiped out. But Zeke Phoenix isn’t about to let that happen. Needing a new batch of weapons—and fast—Zeke leads his crew across the wasteland. Forced to join with assassin hellions, they battle a constant barrage of villainy. If that wasn't bad enough, Zeke's little brother is along for the ride. The question is whether Babysitter Zeke and the Badlands PPD can survive this road trip before they crash and burn. This is a kickass, action-packed, snarkfest that can only be described as Smokey and the Bandit meets Mad Max. Do you know the difference between mostly dead and slightly alive? Do you like car chases, death and dismemberment? Can you stay good when everyone around you is bad? These questions and many more are addressed in this PPD installment. This second in the badlands series is FANTASTIC!!! A MUST read for all PPD fans and all fans of comedic supernatural drama. Do yourself a favor and get this book! 5.0 out of 5 starsSo full of fun! I love the whimsical nature of this series, and I love the characters. 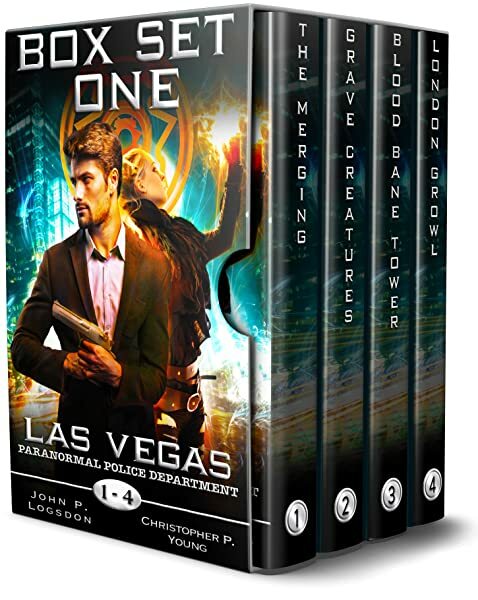 In the second book, Zeke’s place of business is bombed, and he and his colleagues becomes a target for many gangs when most of their weapons are destroyed. A quest for more weapons ensues, and like always, hilarity also ensues. 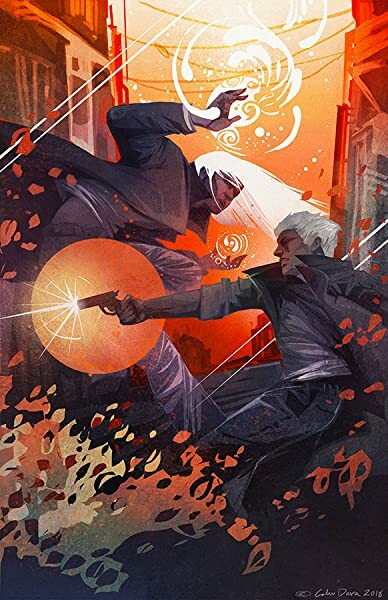 I just loved this fun, action-paced adventure, and I love the addition of Zeke’s brother; he is great! If you love the rest of the series, you need to give this one a try. You don’t need to have read the previous book in the series to enjoy this one. I highly recommend this book! 5.0 out of 5 starsIt’s time to open up and let something big and nasty enter me. 4.0 out of 5 starsNo Bullets, No Problem. A Road Trip though Hell. Someone has destroyed the Badlands PPD ammo depot. It'll take a Netherworld Proper Run to resupply. We got us a convoy. Who's in? Only PPD's A team, a Hellion, and the chief's little brother is along for the ride. Everyone is after them, including the Accountants... It'll take serious drifting skills to survive the ride down Deadman's Drift road. Even if they get the weapons they need, they STILL have to get back. A fun, action packed book. 4.0 out of 5 starsJust... Wow! Zeke and crew are facing a lot of trouble when someone blew up the precinct.. And more importantly, all their weapons! What does a police department do when they are weaponless in the Badlands? More fun with the new chief of the Badlands PPD....He survived his first week on the job, can he survive a road trip through the Badlands to retrieve a cache of weapons? This is one of my favorite PPD series.. action, humor snark and innuendo galore. The only problem with the PPD series? Waiting for the next one to come out! 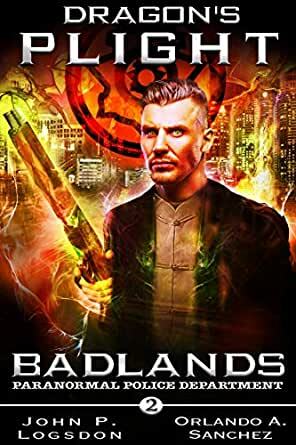 This fun second book to the series leads our main character the chief of the badlands PPD on a hair raising adventure to keep his branch of PPD, in take and weed out the bad apples in a sea of bad apples. The book wrote in the way that keep interested and also asking what the next thing the writers going to come up with. I really love this series. It's fun getting to know the characters better-each book brings new insight to them. Love Zeke's brother!! Hope there is more of him in the future. Just a wild ride, literally, dodging Accountants and other assorted mayhem inducers. Badland PPD needs weapons, and it's a process.